DreamWorks How To Train Your Dragon Live Spectacular is coming to the DCU Center this summer! Unleash your inner Viking and prepare for the invasion of DreamWorks How To Train Your Dragon Live Spectacular! 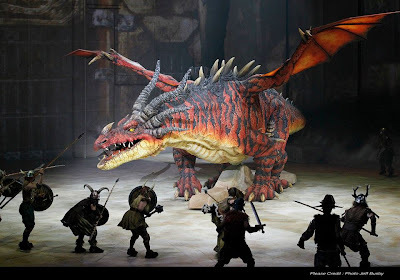 Feel the heat and experience the adventure of high-flying, fire-breathing dragons with wingspans of up to 46 feet. Astonishing animatronic technology and world class performers bring to life the heartwarming story of DreamWorks Animation’s Academy Award® nominated film. This groundbreaking arena show breaks all the rules of traditional live entertainment for the entire family. You don’t want to miss it! Do you have your tickets yet? If not, Dollops readers can save 25% on the $51.50 seats for Wednesday and Thursday performances and the $61.50 seats for Friday’s performance with the code MOM . That’s a savings of $12-$14 per ticket. You can purchase your tickets here. Is a discount not good enough for you? How about a family four pack of 4 tickets to see the opening show on Wednesday, July 11, 2012 at 7pm?! Leave a separate comment letting me know you have done the above. All entries will be verified. Winner will be chosen at 8pm EST on Monday, July 2nd. Winner will have 48 hours to respond or another winner will be chosen. Please ensure that you provide me with a valid way to contact you if you should win. Good luck!